EVER. Seriously. The husband and I had people round for dinner and I made a batch of 12 lemon bars; we each sampled one before the guests arrived, of course, but the other 10 we ate between the four of us quite quickly! 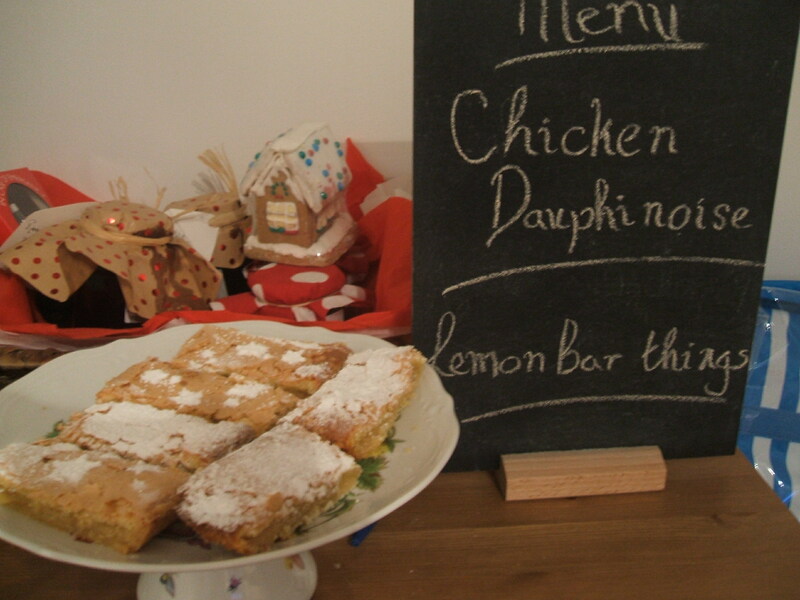 They were just too nice, if I do say so myself; I had my proud face on all evening. Here’s the recipe- lots of steps but simple enough and so worth it. 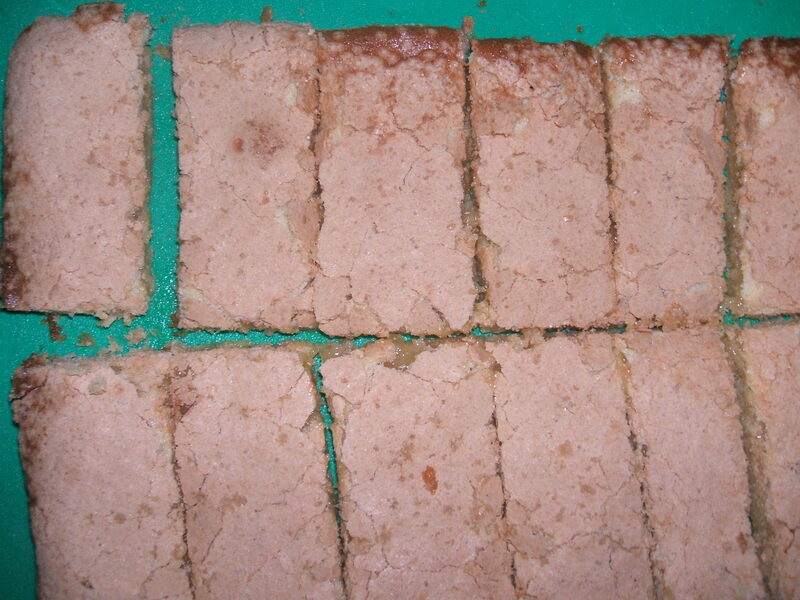 Before you begin, grease and line a roughly 8-inch square baking pan (mine was rectangular and about 7″ x 10″!) 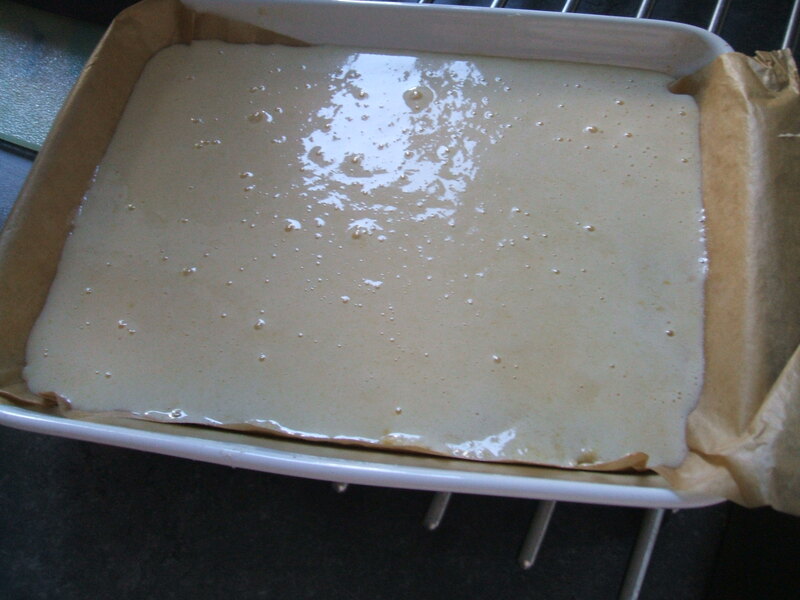 and stick the oven on to preheat at 180 C.
First up, the pastry base. Start by stiring together the flour, sugar and salt with a whisk until evenly blended. Cut the butter into cubes and combine with the dry ingredients. I did this by hand; one of the benefits of having constantly cold hands is that I have the power to make great pastry 🙂 The consistency you’re after is mostly coarse crumbs, but still a bit chunky. Basically, I would make sure there are no huge lumps of butter and then not worry about it too much. Press this mixture evenly into your prepared baking pan. This goes in the oven for 15-20 mins until lightly golden, giving you the perfect amount of time to prepare your filling. Zest and juice the lemon. You’ll need 1 tsp of the zest (or more, if you like it zesty) and 2 tbsp of juice. Put these in a big bowl and add the eggs and sugar. Beat these together until well mixed (I recommend an electric whisk, if you have one) then speed things up for about 1-2 mins, until themixture is pale and foamy. Combine the flour and baking powder and then whisk into the lemon mixture. By now your base should be ready. Pour the topping evenly over the crust and pop it back in the oven for 25-30 mins, until lightly golden on top. Once you’ve taken it out of the oven, DO NOT get over excited and try to take it out of the pan to cool. Leave it in there. After it’s nice and cool you can turn it out, cut it up and enjoy! The recipe suggests dusting with icing sugar, however, while it looked pretty and tasted nice, it tended to just fall off when you picked them up; which is a shame as I spent ages dusting little stars! 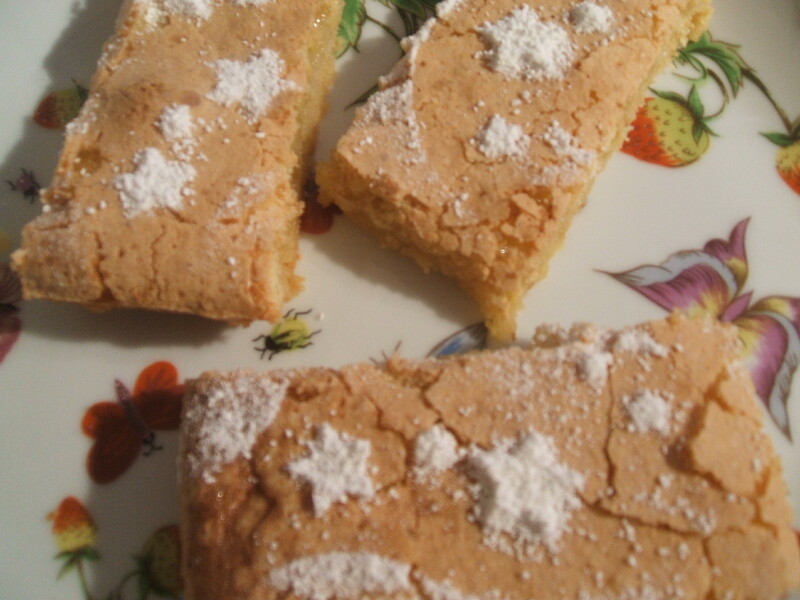 This entry was posted in Baking and tagged Baking, Lemon Bar recipe. Bookmark the permalink. Post a comment or leave a trackback: Trackback URL.